Researchers at NerdWallet examined the 26 biggest cities in the U.S. to find out which are the most promising hubs for job seekers. They looked at population growth between 2010 and 2011 as an indication of overall business growth, the local unemployment rate, the median income of residents, and the cost of living, which reflects how far your dollar will go. Denver came out at #4! Five of the top ten were in Texas primarily because of a lower cost of living and strong growth in the industries of telecom and bio science. Other cities on the list include, Austin, DC, San Francisco, Houston, Ft. Worth, Dallas, Seattle, San Antonio and Charlotte. To read the full Forbes article, click here. In a recent Denver Post article, Realtors believe that 2013 will be a continuation of the strong real estate market we saw in 2012. The reduced inventory over the past year has contributed to a 9% increase in sales price and 18% more sales than the previous year. The market in January has started out busy and is expected to continue throughout the spring and summer. Some analysts don’t believe that Denver will see another year of double digits growth. Tom Thibodeau, academic director for CU’s Leeds School of Business, said “It could happen again in 2013, but I would really be surprised. A double-digit rate of appreciation is scary to me. It’s just not sustainable. I would expect something more like 6 percent this year, which is still phenomenal.” Companies are growing again making for good job security and there are many buyers that have been on the fence for several years. Interest rates can’t stay this low forever and now is the time to make the move. It will be interesting to see how this year plays out! Denver Restaurant Week is back and there are almost 300 restaurants in Denver making a special menu to honor the mile high city. For only $52.80 for two people or $28.40 for one, you can get a delicious dinner at one of Denver’s best eateries. 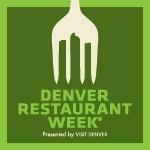 Denver Restaurant Week 2013 will be held for two weeks, from February 23 – March 08. This is a great time to try a new restaurant you’ve been wanting to try for a special price. Click here to make your reservation. Happy New Year! As I start 2013, I’ve been reflecting back on 2012. Overall, it was a great year. In Riverfront Park, the number of transactions went from 51 in 2011 to 67 in 2012. That is a 24% increase! The price per square foot stayed pretty consistent at about $380/foot. 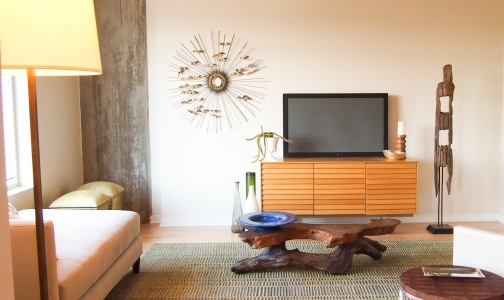 Condos sold at 96% of list price last year versus 94% in 2011. The market turned quickly from a buyer’s market to a seller’s market as inventory levels plummeted. Inventory in December was at 7,709 units, a 30% decrease from last year’s already low numbers according to Metrolist. The lack of inventory is putting a lot of upward pressure on prices. Hopefully inventory levels will raise in 2013 as there are several buyers ready to pull the trigger once they find a home that fits. In several neighborhoods around the city, it has gotten so competitive that as a buyer’s agent, you need to be driving around looking for COMING SOON signs. Once a property hits the MLS it already has multiple offers! All around town there is a ton of development which is a good sign that 2013 will be a great year in real estate! Glass House #304 just reduced 20K! The lowest price condo in Glass House just reduced to $429,000! The other two bedrooms on the market are priced at $550,000! This is a great deal and only $294 a square foot! Call me to schedule an appointment today at 303.618.3622. I came across this article about why buyer’s should use real estate brokers and found it very helpful. There is a misconception that buyer’s will get a lower price if they chose to represent themselves. The truth is that by not having a broker, you are giving the listing broker both sides of the deal, and their alliance is with the seller. Having someone represent you on one of the largest purchases you will make is not only smart, but can help you avoid problems down the road. I recommend spending the five minutes to read the article if you are considering buying.